Vancouver WA Backyard Landscaping Woody's Custom Landscaping, Inc. 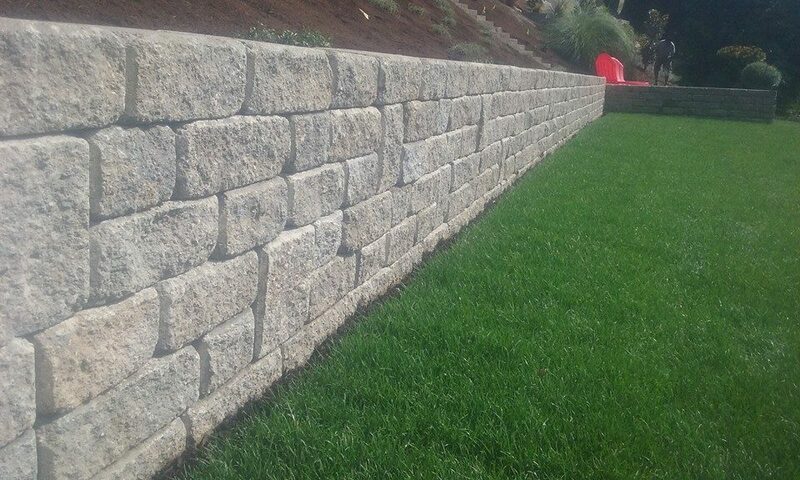 This landscaping project was a new construction Vancouver WA backyard landscaping. 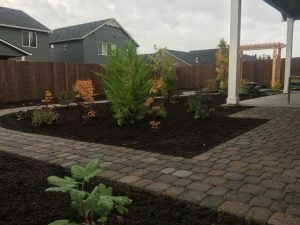 The design was done by Gregg and Ellis Landscaping design. 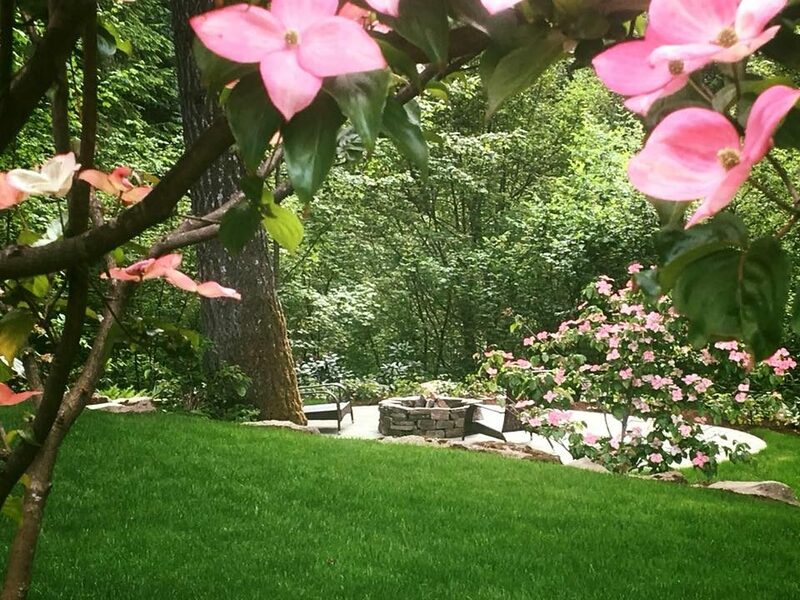 We have been using both Christine and Carolyn for about 20 years now as our primary landscape designers. Our clients love them and so do we. The project consisted of many paver pathways merging into each other. 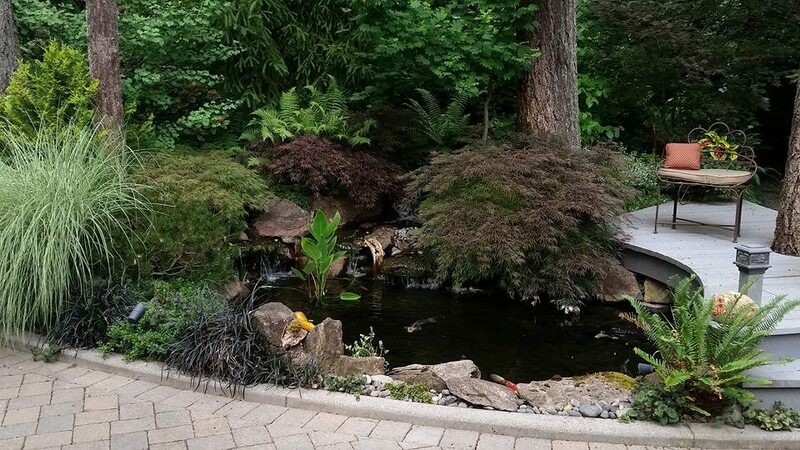 A horizontal flagstone water feature. 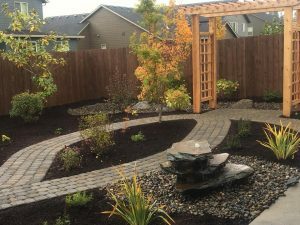 A side yard dry creek to make sure rain water would not be an issue and still be attractive. Drip irrigation. Also, a great plan with fantastic planting. Don’t forget the pergola inviting you to come out a sit a spell. The pergola had pressure treated 4by4’s wrapped in 1 by cedar with a clear cedar top. 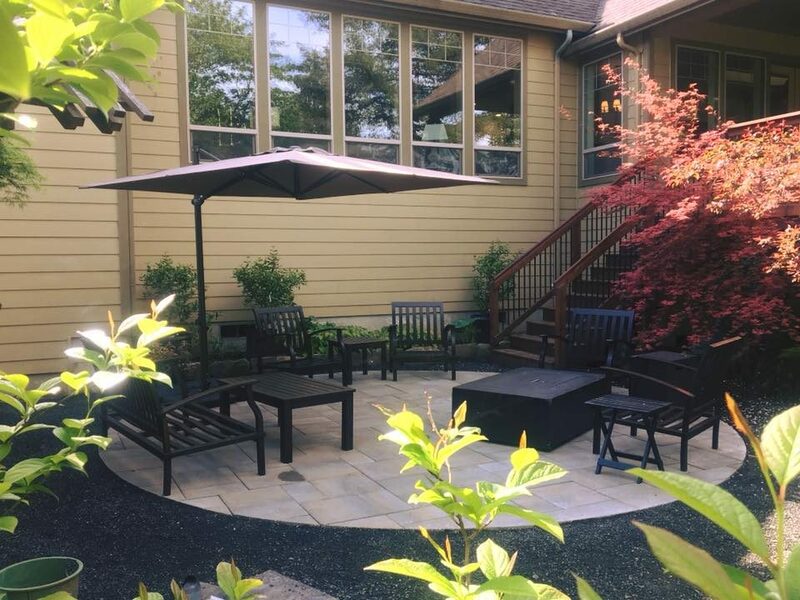 Lots of interest in this backyard landscaping. 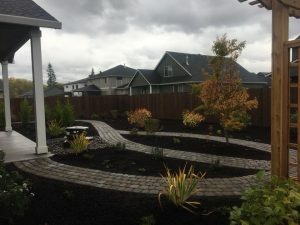 A new construction backyard landscape and hardscape project. Our client was a wonderful and kind person. This makes our job easier and we always repay kindness in our work. What made all this happen? 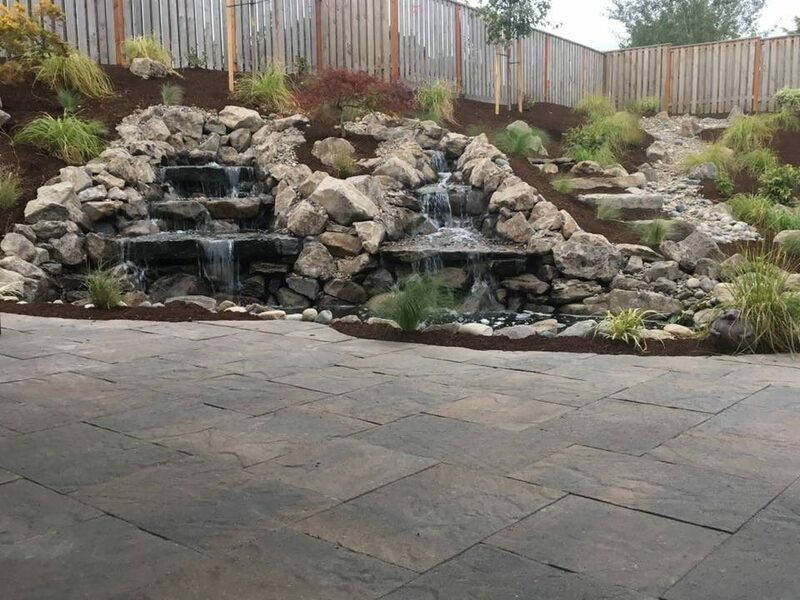 A great landscape design, and fantastic client and of course a real talented landscape contractor with fantastic employees, made it all happen. 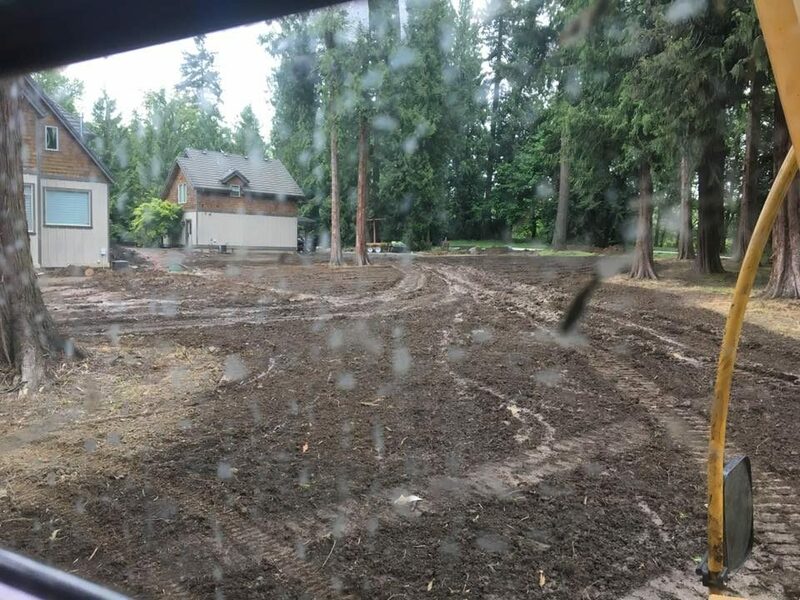 This Vancouver WA Backyard Landscaping really shines. Lots of paver pathways to roam on various focal points in the new construction backyard landscaping. 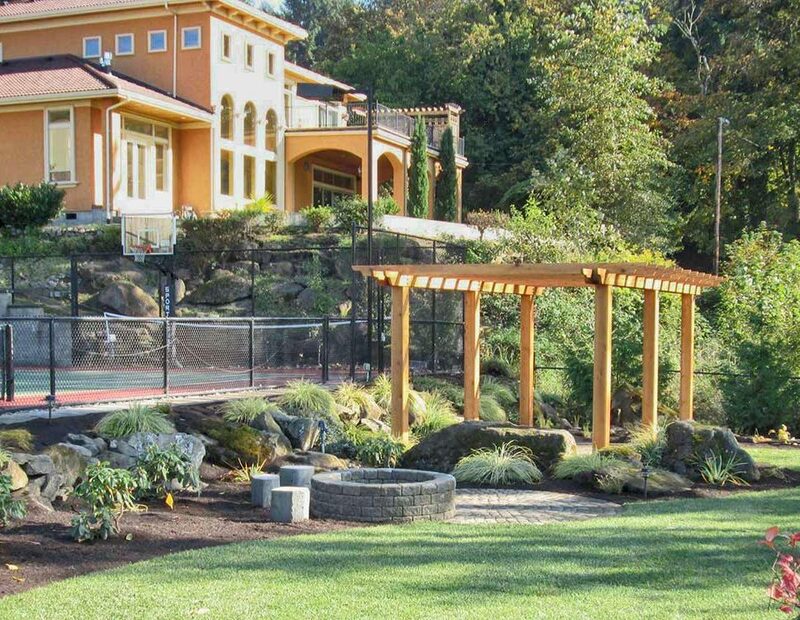 Our company has been installing landscapes and hardscapes in the Vancouver Washington area for over 26 years. Many awards have been won and have maintained our great reputation throughout all that time. Installing simple landscapes to very large estates. 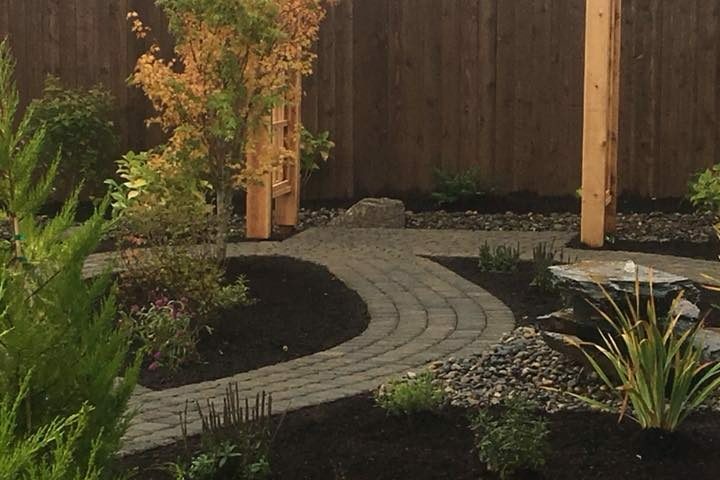 Our website is http://www.woodyscustomlandscaping.com We invite you to take a look for yourself and see how we can be of service to you. 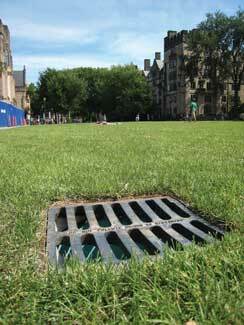 Some other landscaping blog posts you may find interesting our on our website. 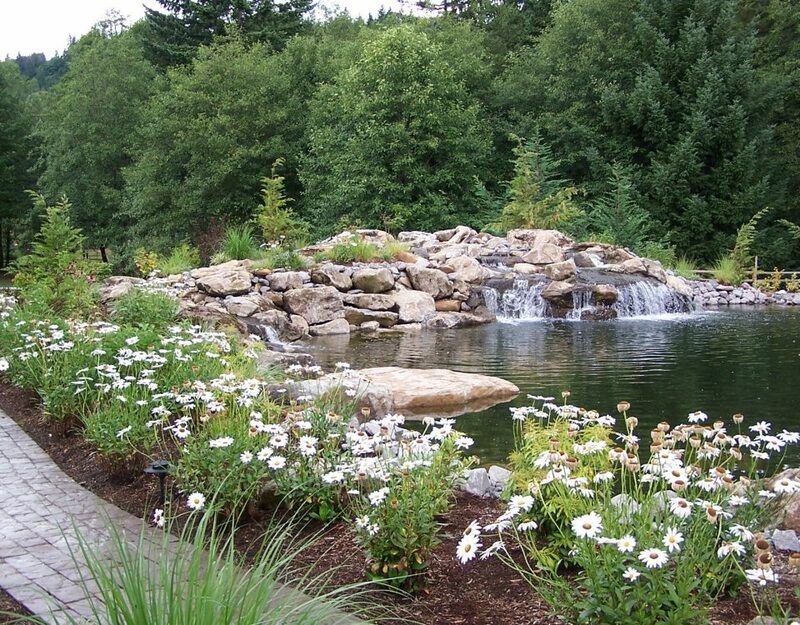 Call 360-687-1882 for your free landscape estimates today.